With 560,000 people using heroin in the last year (according to information from the National Survey on Drug Use and Health), there is a chance that you know someone who is using it. Heroin is a dangerous drug that can cause long-term health problems, and even be a cause of death. You should be aware of the signs of heroin use, and encourage someone who is using heroin to get help. Performance. This can either be at school or work - or in some other way. Are the person's grades suddenly dropping? Is the quality of work assignments becoming progressively worse? Does the person's performance in sports or music suffer? 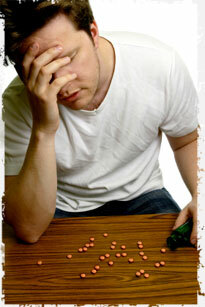 When someone suddenly becomes worse at something he or she is good at, this can be a sign of heroin substance abuse. Additionally, someone using heroin may stop showing up on time - or at all. Personal care. This is a sign common to many substance abuse problems. When a person is abusing heroin, he or she may not take good care of him or herself. You may notice that personal hygiene, such as regular showers and changing one's clothing regularly, is no longer important. Someone who is involved in heroin substance abuse may no longer care about fixing his or her hair, or performing other grooming tasks. Tendency toward recklessness. Someone using heroin often does not care about the natural consequences of his or her actions. He or she may do reckless things, such as steal to get money for more drugs - or even engage in other dangerous behaviors. Natural consequences of their choices are no longer important to heroin users. Withdrawal from friends, family and activities. Another sign of heroin substance abuse is withdrawal from normal activities. New, more dangerous friends can indicate a heroin addiction. Additionally, someone involved in heroin substance abuse may also become more secretive, desiring to be left alone by family members. Heroin addicts also may begin withdrawing from enjoyed activities, such as going out with friends or participating in clubs and organizations. Runny nose or constant sniffing. Needle marks on arms - and even on legs. Very little motivation, and no desire to form future plans. Displays of hostility toward others. It is important to note that some of the signs of heroin substance abuse are also connected with depression and even normal adolescent behavior. It can be difficult to draw the line. If you see three or more of the above signs, or if you are worried, you should carefully and lovingly ask questions to try and find out what the problem is. Even if it isn't heroin substance abuse, it may be some other important issue that needs to be addressed. Heroin overdose is very serious business. It can lead to long-term health consequences - even death. It is important to recognize the signs of heroin overdose and work to get the victim immediate and professional medical help. It is important to get help as soon as possible. Heroin overdose cannot be treated at home. Do not induce vomiting in the heroin overdose victim. As you can see, heroin use has very serious consequences. It is important to recognize the signs of heroin substance abuse so that you can encourage your loved one to get the help he or she needs.